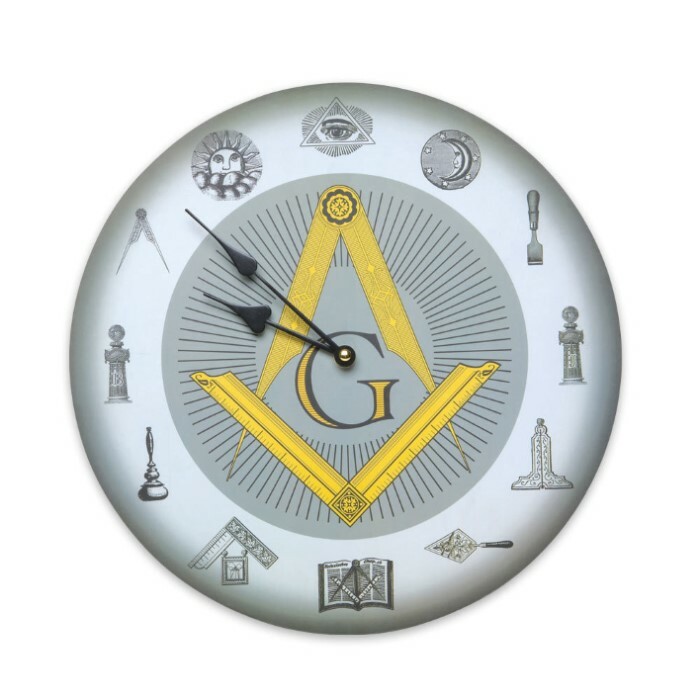 This wall clock is accented with Masonic images. Measuring 13" in diameter and featuring wood construction and quartz movement, this clock replaces the normal Roman numerals on its face with Masonic symbols for each hour. Requires 1 AA battery (not included). Grandfather was very happy with this. He didn't even suspect these existed.